Hi there! You know that a true bargain hunter never sleeps. Well, at least not when out and about. 😉 So you won’t be surprised to read that I’ve gotten my hands on a few bargains this month. And I didn’t buy any toiletries at all which is… something new! But let me show you what I did buy. I bought a Maybelline Color Show nail polish (£1) because I liked the colour, a Burt’s Bees Tinted Lip Balm (£1) – which I’ve already reviewed, a Barry M Duo Eyeshadow Pack (£1), and 3 I Love… Tinted Moisture Balms (£1 each). 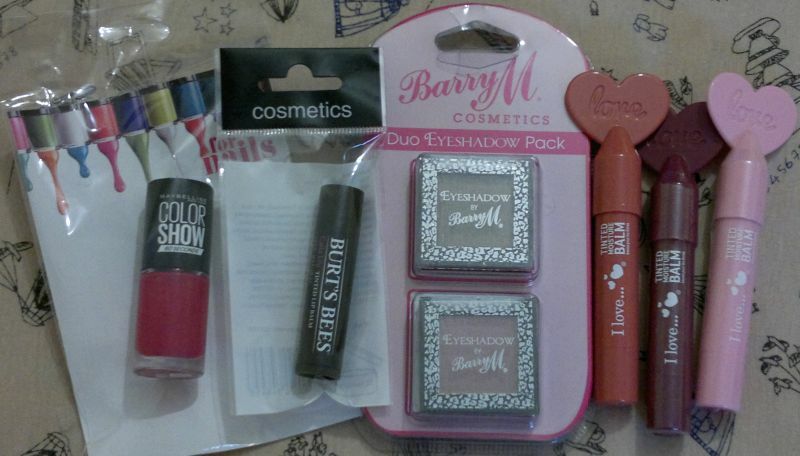 That’s £6 in total for these 7 products! 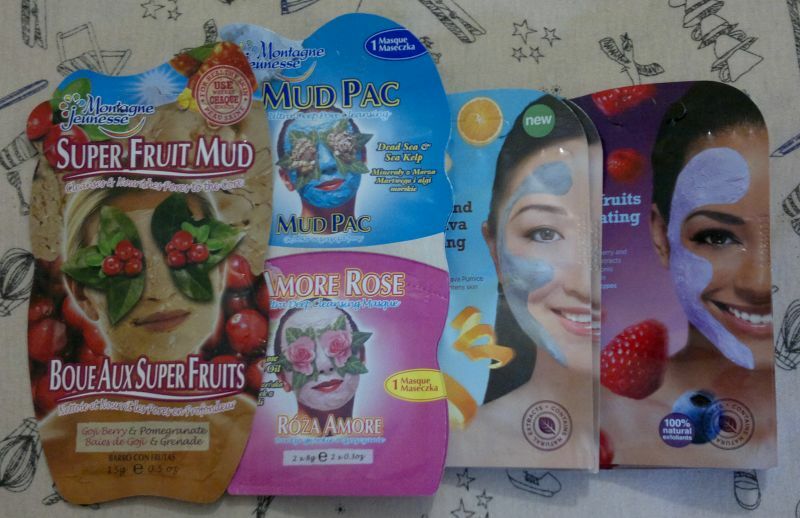 I also bought 9 more face masks – 1 Montagne Jeunesse Super Fruit Mud mask (£1), 2 Montagne Jeunesse Mud Pac + Amore Rose mask duos (£1 each), 2 Superdrug Orange & Black Lava masks and 4 Superdrug Superfruits Exfoliating masks. Superdrug’s masks are 99p each – but they were on a 3 for 2 promotion. That’s £6.98 in total for these 11 masks. 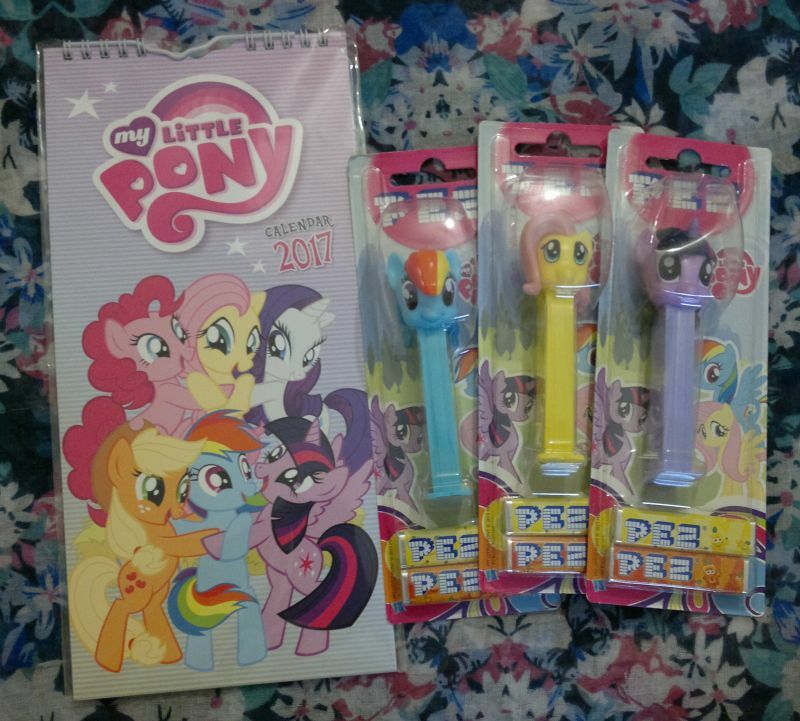 In regards to non-beauty items, I picked up a My Little Pony Calendar (£1) at one of the Poundstores. And I found My Little Pony PEZ Dispensers at Superdrug. They were £1.50 each. So I spent £5.50 in total for these non-beauty cuties. What do you think of my little haul? I’m happy because I didn’t go overboard. I’ve been a good girl! Feel free to let me know what you think. And thanks for reading! 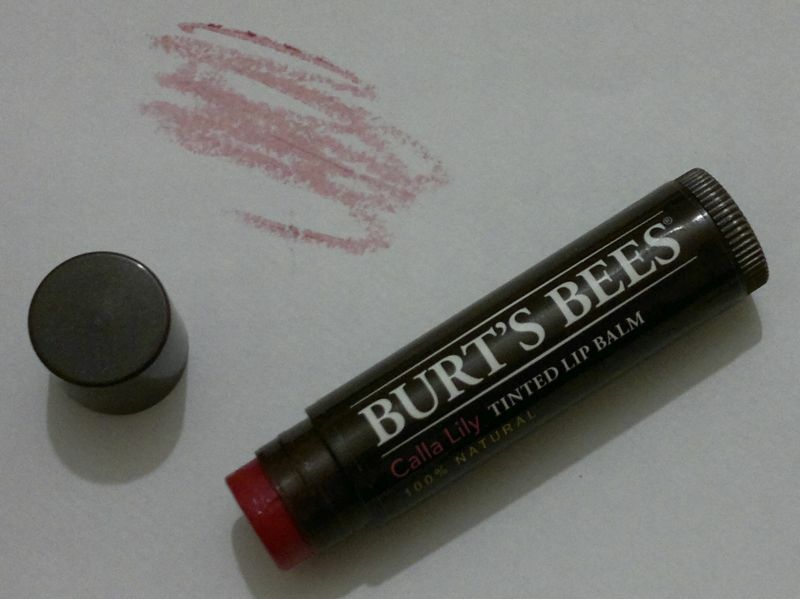 So whilst I’m drowning in lip balms (well, almost), I couldn’t resist the urge to try this product right away. And now let me tell you if it’s any good. First of all, I was surprised by the colour of the lip balm. I thought calla lilies were white(ish)? But nevermind, I’d rather use a red-tinted lip balm than a white(ish)-tinted one.